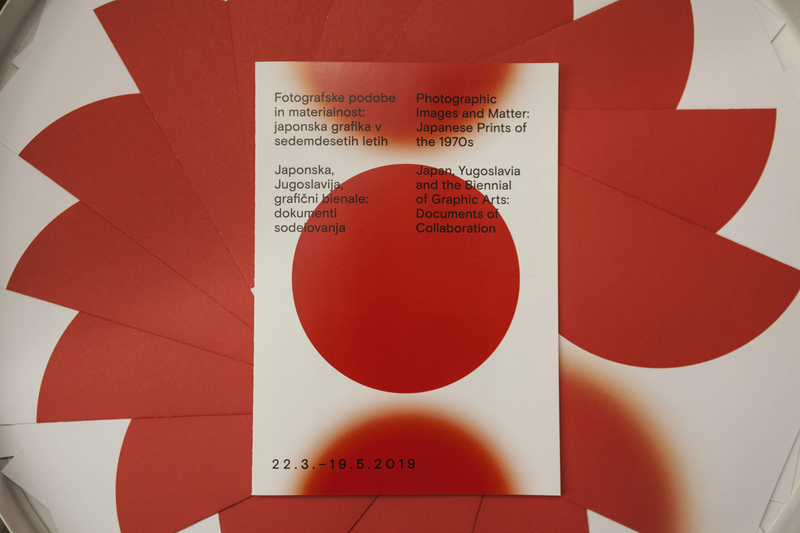 The art event − the central theme of the 29th Biennial of Graphic Arts in Ljubljana − experienced a remarkable development in the twentieth century and today appears as a privileged medium. 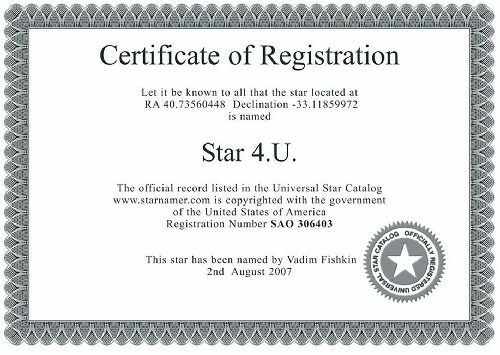 It is employed as a medium by a broad range of various figures from the contemporary art world in a broad spectrum of different forms. At the exhibition, which was sought above all to present as fully as possible the energy and vitality of the current trend of art events, a selection of such events will be presented in four different groups based on themes that are typical for contemporary art: violence, generosity, emptiness, and the search for the sacred and ritualistic. These topics were selected, among other reasons, because the events that thematize them also meet the requirement that they are not something new, neither in terms of their artistic iconographic motifs nor in terms of actual human or social practice. Events in which we can with impunity partake in violence, in "shamanistic" violence to oneself, in Dionysian or absurdist ritual, or in the establishment of an idyllic communitas that shares a common meal are, indeed, activities that have been practised and even depicted for millennia. 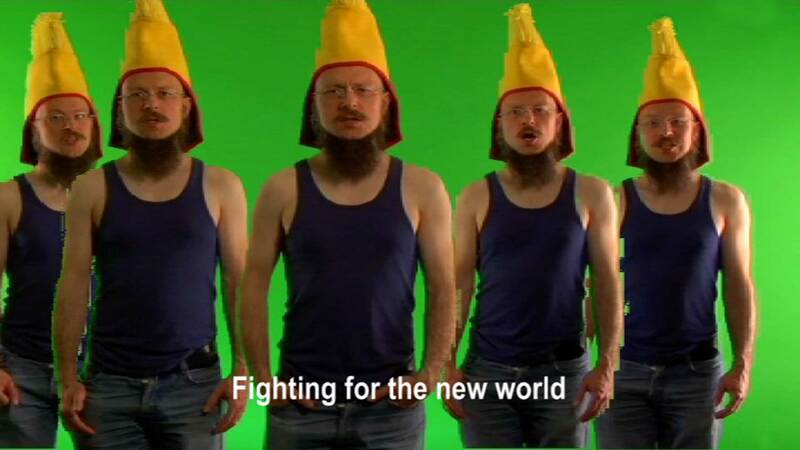 Marcello Maloberti, Die Schmetterlinge essen die Bananen, 2010. In the exhibition, as well as in an extensive programme of artistic and theoretical events, the Biennial posesed the questions: Why and how has the event become a suitable vehicle for a variety of artistic purposes, poetics, and content? Is the choice of this medium a response to specific impulses and voids in our "desacralized" everyday existence? And also, what are the potential dangers of such a development, given that it is happening more and more in the completely formalized framework of art institutions, which in recent decades not only house and exhibit contemporary art, but also commission and produce it. Thus they have become commissioners of contemporary art of a similar type and scope as were once the aristocracy and the church. 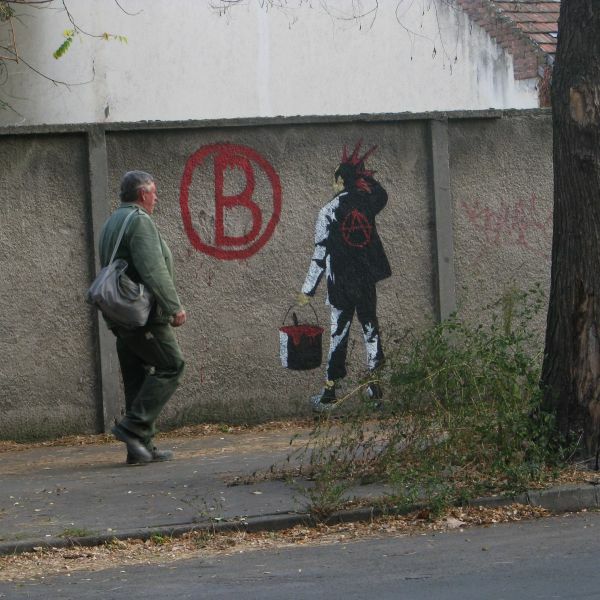 The curator of the 29th Biennial of Graphic Arts was Beti Žerovc. Ant Farm, Oreet Ashery, Bababa International, Robert Barry, Nina Beier & Marie Lund, Jerzy Bereś, Karmelo Bermejo, Anna Berndtson, Conny Blom, János Borsos, Tania Bruguera, Graciela Carnevale, Anetta Mona Chişa & Lucia Tkáčová, Marcus Coates, Brody Condon, Alain Della Negra & Kaori Kinoshita, Marco Evaristti, Terry Fox, Dora García, Félix González-Torres, Núria Güell, Manuel Hartmann, Alfredo Jaar, Jaša, Enrique Ježik, Regina José Galindo, San Keller, Daniel Knorr, Božena Končić Badurina, Gregor Kregar, Siniša Labrović, Liz Magic Laser, Marcello Maloberti, Teresa Margolles, Kris Martin, Dalibor Martinis, Dane Mitchell, Shana Moulton, Kusum Normoyle, OHO Group/The Šempas Family/Milenko Matanović/David Nez/Marko Pogačnik, Once is Nothing (Presentation of an exhibition curated by Mária Hlavajová and Charles Esche as part of the 2008 Brussels Biennial), Serkan Özkaya, Kim Paton, Mark Požlep, Praxis (Brainard & Delia Carey), Public Movement, Franc Purg & Sara Heitlinger, Sal Randolph, Maruša Sagadin, Hans Schabus, Santiago Sierra, Mladen Stropnik, Sz.A.F., Tan Ting, Unguarded Money (Presentation of an action carried out in Budapest in 1956 by Miklós Erdély and the Hungarian Writers Union), Matej Andraž Vogrinčič, Wang Jin, Anna Witt. 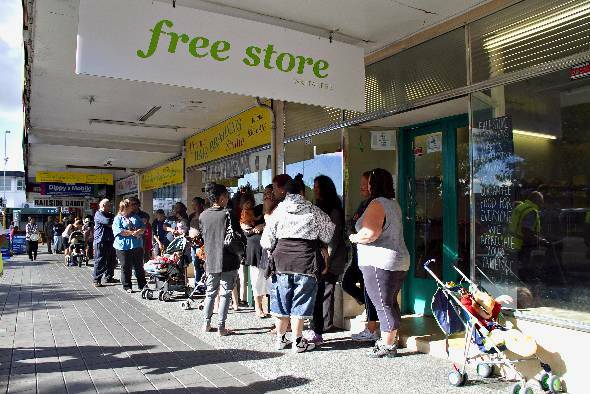 Kim Paton, The Free Store Project, 2010−2011. 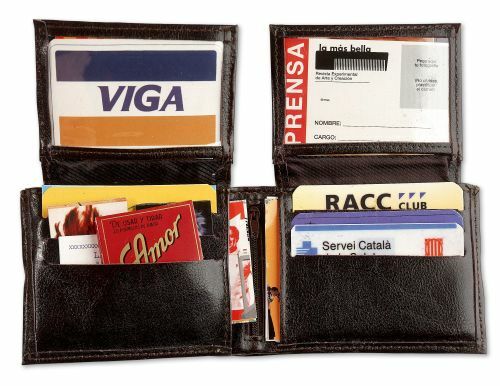 Dora García, Steal This Book, 2009−. Courtesy of CGAC, Santiago de Compostela. 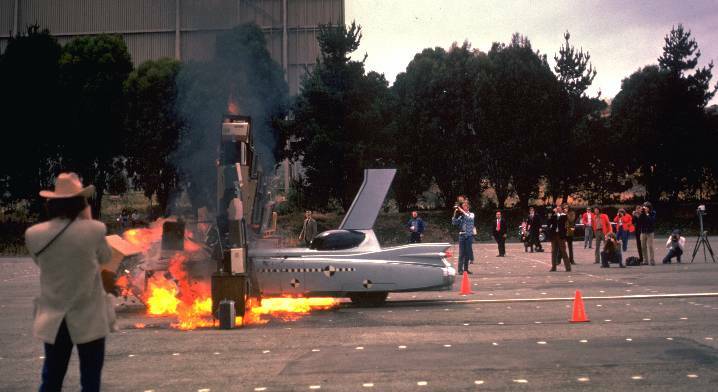 Ant Farm, Media Burn, 1975. 50 beautiful people were invited to join the visitors at the opening event. 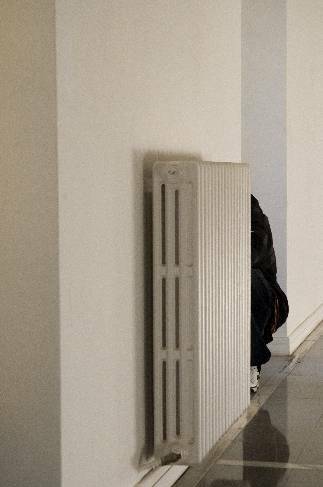 Jaša, a performance in which the artist assumes the character of the priest from the STARDIM project: To Whom It May Concern My Life Is Falling Apart. 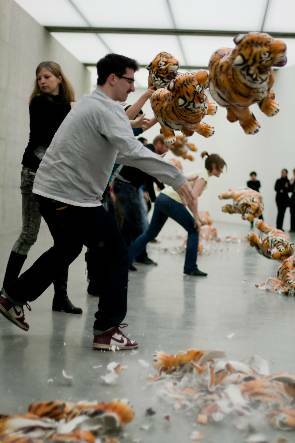 In a series of discussions, artists are asked about the use of art events in their own practice. The emphasis are on the question of why, and in what way, the event is such an appropriate vehicle for their aims and aesthetics. 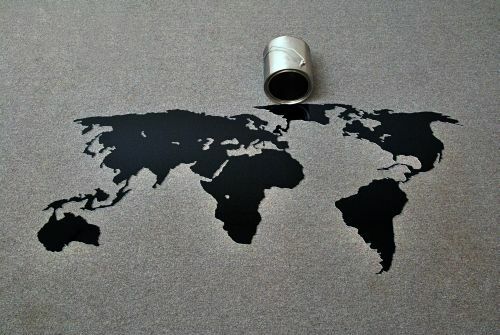 The discussions is framed in national contexts, or in the context of particular art centres, in an attempt to ascertain the current development and state of the medium of the "art event" in selected regions on the global art map. Distinguished representatives from the Slovene media, the state administration, the church, non-government organizations, the business world, the art world, and various scholarly fields attempted to explain the kinds of purposes for which events are used in their fields and what is hoped to be gained by using them. They also reflected on the question of where the, obviously, very extensive phenomenon of the "eventification" of contemporary life might be leading us. Speakers: Alenka Arko, Tina Bolcar, Marko Brecelj, Miha Burilov, the Eko Krog. Association, Hajrudin Hromadžić, Janez Janša, Zoran Kanduč, Vlado Kotnik, Miha Kozorog, Lenart J. Kučić, Gorazd V. Mrevlje, Vinko Potočnik, Mitja Rotovnik, Andrej Rozman Roza, Božo Rustja, Peter Simonič, Andrej Studen, Jože Vogrinc, and Pavle Vrhovec. The Marathon began on Friday, 30 September, at 10:00, at the International Centre of Graphic Arts. The symposium were addressed specific "targeted" questions about the ideological significance of the profusion of events in contemporary art institutions. A varied cast of anthropologists, philosophers, historians, and art historians have been invited to participate. Speakers: Luisa Accati, Beatrice von Bismarck, Thomas Fillitz, Dario Gamboni, Werner Hanak-Lettner, Nathalie Heinich, Bojana Kunst, Henrietta Moore, Robert Pfaller, Renata Salecl. at 14:00: International Centre of Graphic Arts; at 15:00: Museum of Modern Art; at 16:00: Gallery of Cankarjev dom and Jakopič Gallery. Founded in 1998, Chicago, Illinois, as the graphics distribution project of Josh MacPhee, Justseeds became an artists' cooperative based in Portland, Oregon, in 2007. The organization is currently headquartered in Pittsburgh, Pennsylvania, USA, with members from cities in the United States (Oakland, California; Portland, Oregon; New York City, New York; Pittsburgh, Pennsylvania; Providence, Rhode Island; East Lansing, Michigan; Milwaukee, Wisconsin; and Chicago, Illinois), Mexico (San Cristóbal de las Casas), and Canada (Montreal). 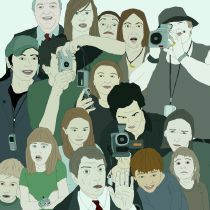 Open: 22 September−20 November 2011, Alkatraz Gallery, Tuesday−Sunday, 10:00−18:00. 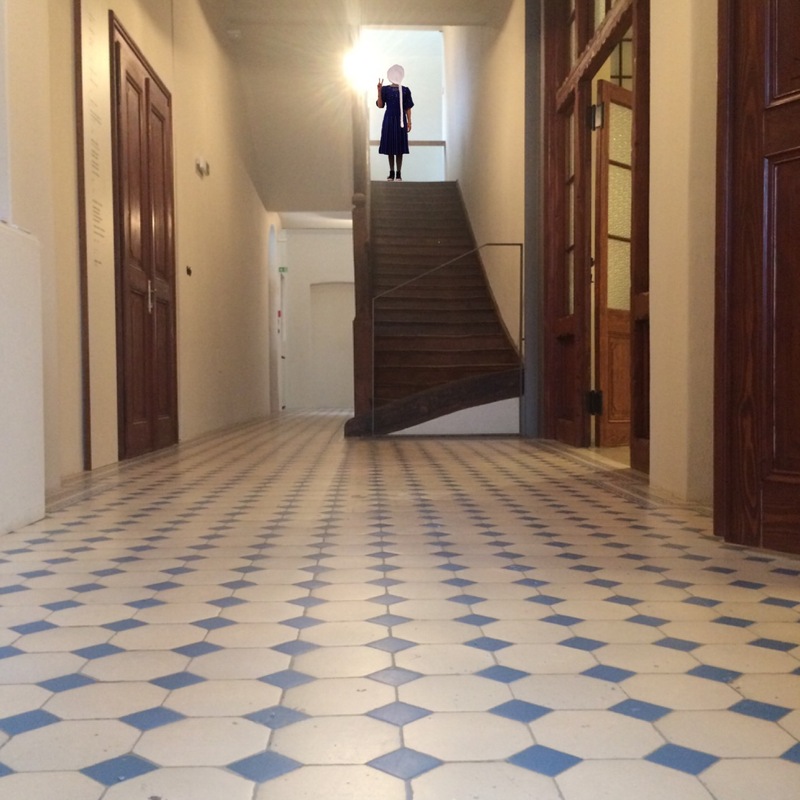 Public tours: Wednesdays, 17:00: 5 October, 26 October, 16 November. 13 September−30 September 2011, Lek Gallery, Monday–Friday, 9:00−19:00. The 29th Biennial of Graphic Arts is followed by large illustrated catalogue, in Slovene and English that places the art event as a privileged medium. The media sponsor of the 29th Biennial of Graphic Arts is newspaper Delo. We are inviting you, to experience Delo 24 hours per day, 7 days per week – on print, web and mobile platforms. Join other subscribers of Delo and enjoy the benefits of Premium users. The 27th Biennial of Graphic Arts took as its point of departure and theme for reflection that turning point in the history of art when the ease of technical reproduction made reproducibility a new quality in the work of art and transformed the very concept of art in essential ways. At the same time, it made reference to the theses of the renowned philosopher Walter Benjamin and their subsequent development in contemporary art theory. The reproducibility of art has changed the way we understand the notions of the copy and the original. It has influenced new meanings of authorship, the roles of the artist and the technician, the link between technology and art, and so on. Reproducibility has led to multiple production, wider accessibility, and an artwork's ability to be simultaneously present in different situations and socio-political environments. Artists have welcomed reproducibility as something that gives them new and diverse possibilities for expression and content. The exhibitions of reproducible art at the 27th Graphic Arts Biennial presented a variety of art forms, from traditional printmaking to printed matter, video, photography, and computer - and Web-based art. 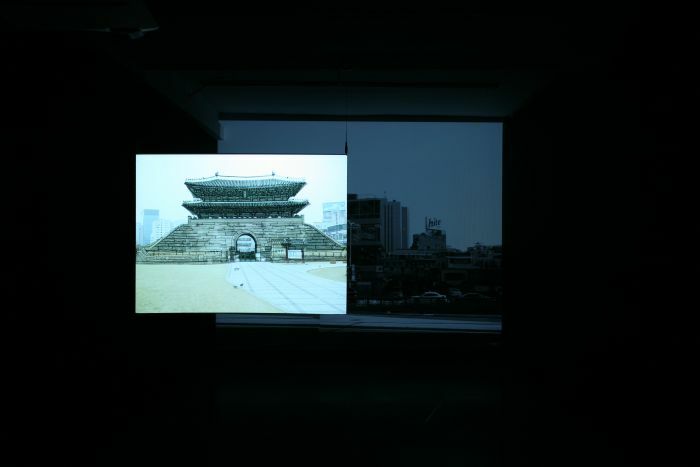 Jeon Joonho, The White House, 2005−2006, computer animation, 32' 16". Grand Prix of the 27th Biennial of Graphic Arts. 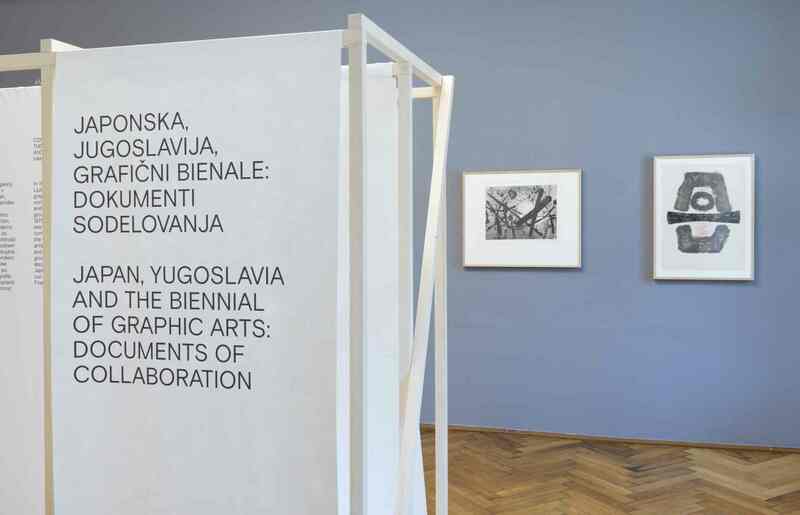 The main exhibition of the Biennial presented artists from various generations and stylistic orientations who have, in the past years and decades, marked both Slovene and international art and society. The title of the exhibition speaks of a key moment in artistic creation − i.e. when a given idea gains a visual form: the creative anxiousness present in the mind of artist thus becomes unbound, freed of "chaos", and is transformed in to a visible work of art. 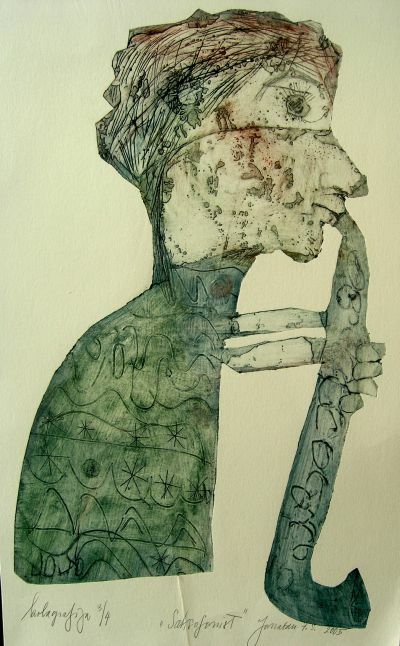 Curated by Lilijana Stepančič, Breda Škrjanec, Božidar Zrinski. Nancy Spero, Israeli Women Soldiers, 1993, handprinting on paper. son:DA, wall Nr_027.psd, 2007, wall-paper. 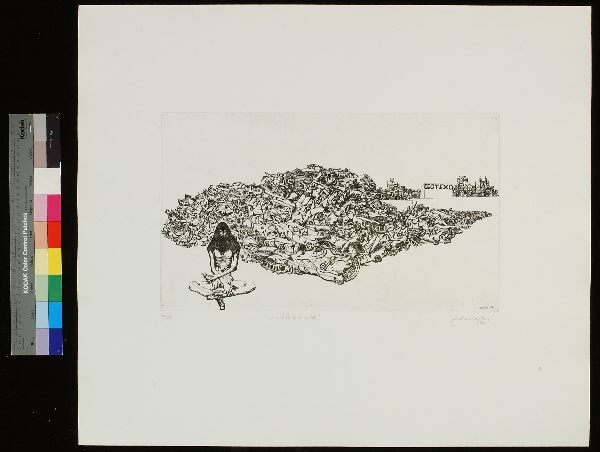 Mikael Kihlman, Paradise Lost, 1999, drypoint. 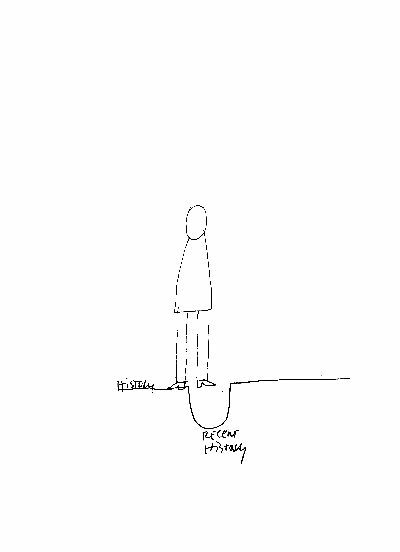 Dan Perjovschi, The First Half Year Big Book, 2007, art project in the catalogue. Ljubljana municipal bus service, Tivoli Park, Ljubljana Maternity Hospital, Ribji trg: Anamarija Šmajdek. Billboards, Ljubljana (Bežigrad, Center): Zora Stančič. The catalogue of the 27th Biennial of Graphic Arts: Metka Krašovec, Dan Perjovschi, Dušan Pirih Hup, Boštjan Pucelj, Andrej Štular. International Centre of Graphic Arts: Paweł Althamer & Artur Żmijewski, Christiane Baumgartner, Goran Bertok, Günter Brus, Peter Fuss, Dominique Gonzalez-Foerster, Peter Halley, Jeon Joonho, William Kentridge, Mikael Kihlman, Vladimir Makuc, Ivan Picelj, son:DA, Nancy Spero. Modna hiša, Ljubljana, Mercator Center Maribor, Mercator Center Celje: Marija Mojca Pungerčar. Poster sites, Ljubljana (Railway Station − Trg OF, Borštnikov trg − Ferant): Arjan Pregl. 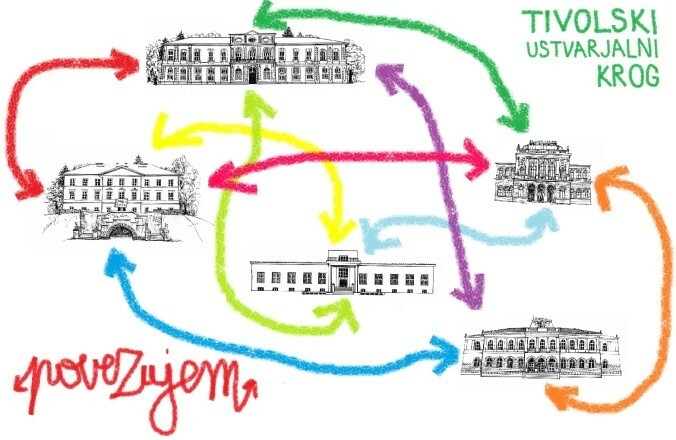 Website www.indija.si: Društvo za domače raziskave. 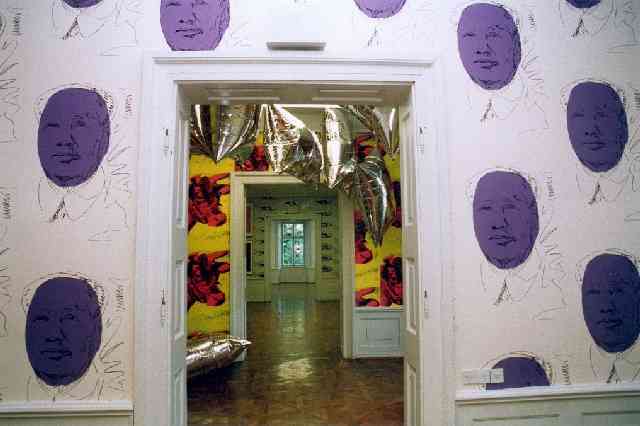 Private apartments, Ljubljana: Danilo Jejčič, Kim Seung Yeong, Živko I. Marušič, Anamarija Šmajdek, Ben, Sašo Vrabič. It is a tradition of the Ljubljana Graphic Arts Biennial to present a solo exhibition of work by the artist who won the Grand Prix at the previous Biennial. Stigma, an exhibition of art from Puerto Rico, presented contemporary political art from Latin America and the Caribbean. 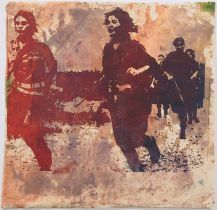 The artworks on display arose out of the need to create images of the troubles facing our times and global society: war, colonialism, prejudice, technology, tourism, and unbridled violence. These problems are like stigmata - they are the bodily pain and wounds out of which artists from Puerto Rico draw their inspiration. 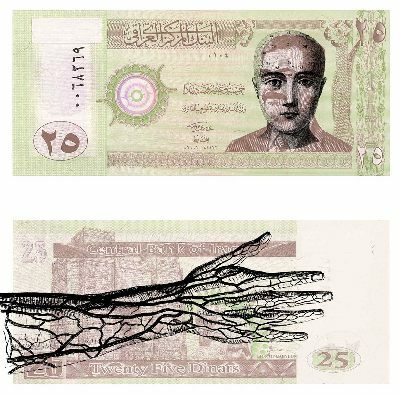 Garvin Sierra, Invasive Capitalism −Iraq, 2007, digital print on banknotes. Participating artists: Allora & Calzadilla, Papo Colo, Miguel Luciano, Antonio Martorell, Omar Obdulio Pena Forty, Raquel Quijano, Carlos Reyes, Arnaldo Roche, Garvin Sierra, Rafael Trelles, Carlos Ruiz Valarino. 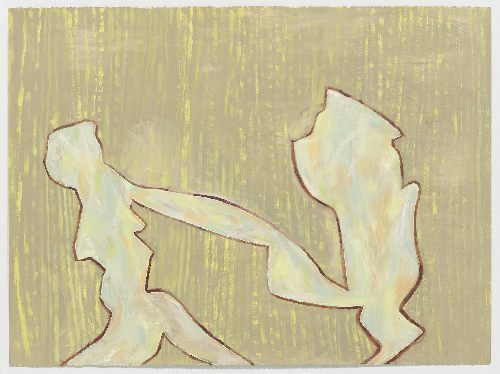 Thomas Nozkowski, Untitled, 2007, oil on paper. Thomas Nozkowski's paintings on paper map the terrain of the mind: its memories, delights, and histories. They are often larger than his canvases yet they are not studies; they are finished, articulate, and raw. In an increasingly isolated and digitally rootless world, Nozkowski's quirky works reassure the viewer that art can still be hand-made, touching, smart, and personal. Curated by Aleksander Bassin. 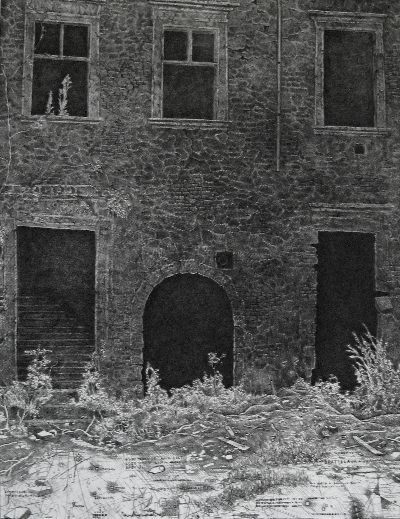 Zora Stančič, Nothing Special, 2007, artist's book. An artist's book is an idea of a book that is entirely conceived by an artist, and is a work of art. P74 Center and Gallery acquired the first artists books in 2003. The exhibition accompanying the 27th Biennial of Graphic Arts presented works gathered through public calls in 2004, 2005, and 2006, as well as other new acquisitions of the P74 Center and Gallery. Curated by Urška Jurman. 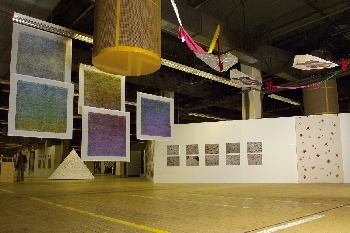 Participating artists: Andrejka Čufer, Dejan Habicht, Jure Engelsberger, Wiebke Loeper, Katerine Seda, Zora Stančič, Mladen Stilinović, Matej Stupica, Jaka Železnikar, Temporary Services, Goran Trbuljak etc. 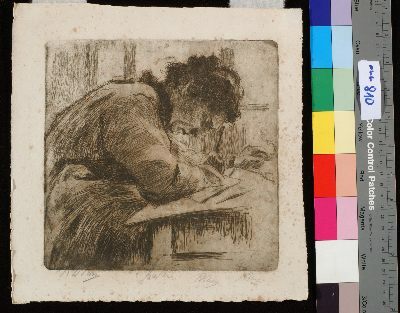 Rozalija Klein-Sternen, Making an Etching, 1920, etching. 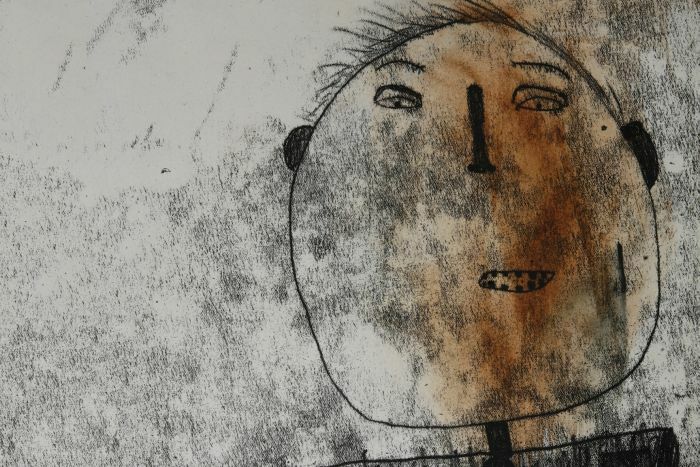 Between 1900 and 1920, we witnessed sporadic and spontaneous attempts in the field of art prints and printmaking in Slovenia. These were conceived by some Slovene artists who, under the influence of living through the problematics of painting, and the rise increasingly intensive visual communications, sought new possibilities for their creativity in the graphic arts and printmaking. Their work had the quality of research and experimentation; it also remained predominantly unknown to the public. 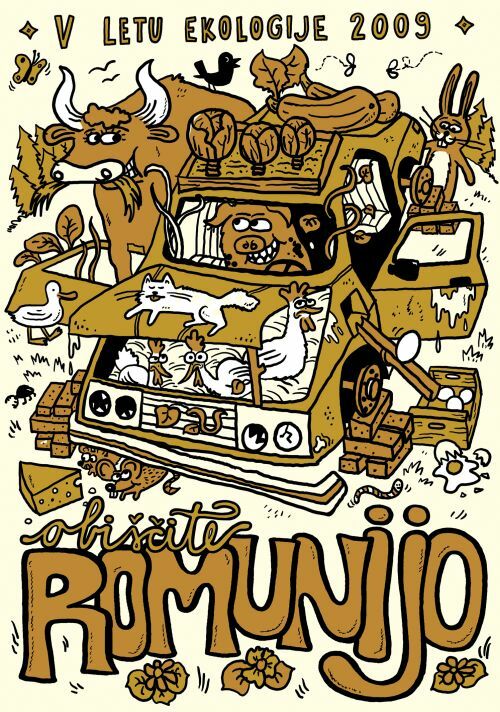 Participating artists: Božidar Jakac, Rozalija Klein-Sternen, Tone Kralj, Veno Pilon, Hinko Smrekar, Matej Sternen, Saša Šantel, Helena Vurnik. Les Requins Marteaux, Mr. Ferraille, from the museum's archives. The iron robot Mr. Ferraille made his first appearance in the newspapers in 1924, and praised the elixir of eternal youth. So began the story of his success. 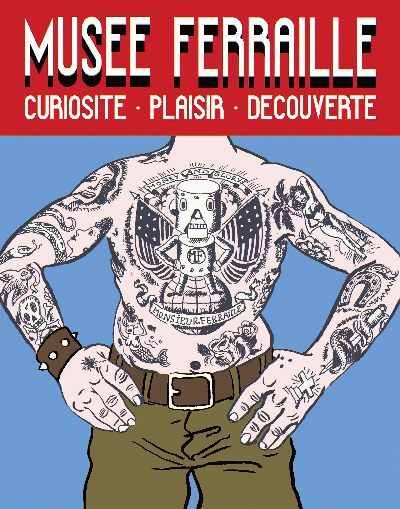 The Musée Ferraille is a museum type exhibition that introduced the viewer to the history of comics character Mr. Ferraille, his rise and fall, his mutations through time as well as those of his makers − Waltshluss and Gonz. The Museum was established in 2003 by the French society Les Requins Marteaux. It first went on public display at the international comics festival Angouleme 2003. The point of departure of this project was a poster from which the artist createe an artwork. Thus, and on the one hand, the poster is a mass object that disseminates images. On the other hand, however, the poster is also an author's print. As such it represents an alternative cultural platform that broadens the communicative possibilities of art. It is a modular project that can be adapted to, and developed in, different circumstances. The single most important aim of the project was to create a constant dialogue with the public. Curated by Lorenzo Benedetti. 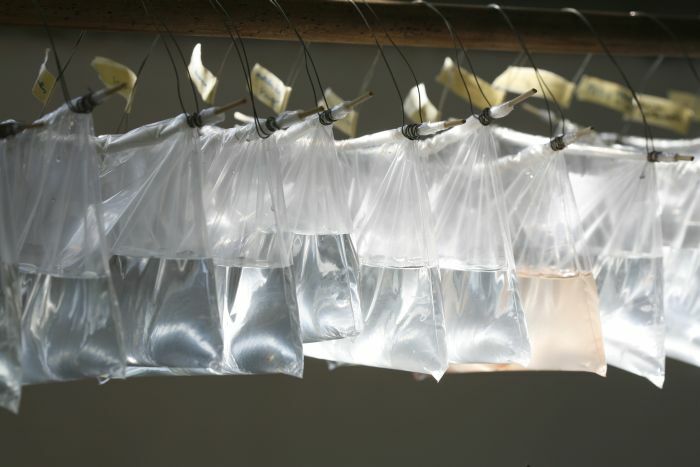 Participating artists: Carla Accardi, Nicoletta Agostini, Maria Thereza Alves, Mark Bain, Kuba Bakowski, Massimo Bartolini, Elisabetta Benassi, Wolfgang Berkowski, Dafne Boggeri, Sarra Brill & Chiara Graziani, Alessandro Bulgini, Pedro Cabrita Reis, Chiara, Paolo Chiasera, Marco Fedele di Catrano, Jimmie Durham, Davide D'elia, Vadim Fiškin, Parastou Forouhar, Stefania Galegati, Rainer Ganahl, Mario Garcia Torres, Christoph Girardet, Stanislao Di Giugno, Globalgroove, Luis Gonzales Palma, Laurent Grasso, Heidrun Holzfeind, Silvia Iorio, Yun-Fei Ji, Rob Johannesma, Marco Klefisch, Gabriel Lester, Chi Wo Leung, Alon Levin, Robert Lippok, Giuliano Lombardo, Flavio de Marco, Jeannette Montgomery Barron, Liliana Moro, Vlan Nanca, Elena Nemkova, Carsten Nicolai, Olaf Nicolai, Dennis Oppenheim, Laura Palmieri, Mikael Paananen & Linda Tallroth, Jorge Peris, Alessandro Piangiamore, Federico Pietrella, Giuseppe Pietroniro, Cesare Pietroiusti, Ph.on (Dario D'aronco & Roberto Gammone), Riccardo Previdi, Emilio Prini, Rä di Martino, Philippe Rahm, Marco Raparelli, Annie Ratti, Max Renkel, Luigi Rizzo, Guendalina Salini, Andrea Salvino, Corrado Sassi, Maurizio Savini, Donatella Spaziani, Paolo William Tamburella, Luca Trevisani, Costa Vece, Luca Vitone, Emiliano Zelada, Italo Zuffi. Supported by Foto Tivoli d.o.o. Karel Zelenko, The Hermit, 1988, etching. From its beginnings in 1986, the International Centre of Graphic Arts has hosted, published and printed in its print studios the works of many artists. Quite a few among them gave their graphic oeuvres to the Centre, and quite a lot of prints made through such cooperation have received various international prizes. This exhibition presented a selection of works printed in the techniques of aquatint, etching, dry-point and whetstone. The artworks on display were on sale. Supported by Vinska klet Berce. 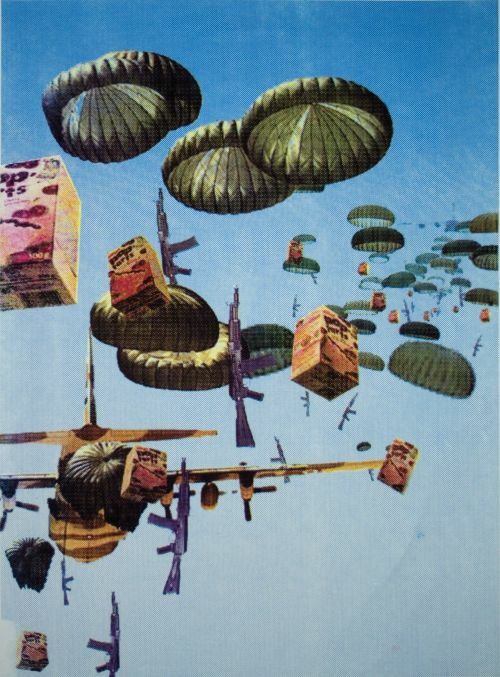 Participating artists: Getulio Alviani, Richard Anuszkiewicz, Janez Bernik, Bogdan Borčić, Andreas Christen, Jože Ciuha, Vesna Črnivec, Anthony Hill, Drago Hrvacki, Andrej Jemec, Janusz Kapusta, Julije Knifer, Metka Krašovec, Laibach, Edoardo Landi, Lojze Logar, Peter Lowe, Vladimir Makuc, Manfredo Massironi, Almir Mavignier, Kiar Meško, François Morellet, Klavdij Palčič, Ivan Picelj, Zora Stančič, Jeffrey Steele, Joël Stein, Miha Štrukelj, Petar Waldegg, Huiqin Wang, Ryszard Winiarski, Karel Zelenko. Marija Mojca Pungerčar's art project transforms sewing into a pleasurable and useful social activity. Participants of the Socialdress workshops create witty and functional clothes that worked to integrate the community spirit. More at www.3via.org/socialdress. Supported by Tekstina d.d. Ajdovščina. The www.jaka.org/2007/razorganizator website presents the work Razorganizator/ Disorganizer. The viewer was invited to the presentation of the contents of the work, the installation, set-up, and trial of the programme. This get together was also enhanced with a party. The 27th Biennial of Graphic Arts was accompained by a large illustrated catalogue, in Slovene and English which presented a complex overview of the eight exhibitions forming the Biennial; theoretical essays on the philosophy of Walter Benjamin and documentation concerning the participating artists and a list of exhibited artworks. The catalogue was also one of the exhibition sites of The Unbound Eyes of Anxiousness. The title of the Biennial, Thrust, spoke to the power of the Biennial, which for fifty years had been one of the engines behind both Slovene culture and international graphic arts. The artistic director for the 26th Biennial of Graphic Arts is the respected Slovene art historian Jure Mikuž. The concept for the show underscores the 50th anniversary of the Biennial, the wide diversity of views on contemporary graphic arts, and process as an organizational approach to staging an exhibition. He has invited eighteen prestigious institutions from all over the world to each present an exhibition that attempts to answer the question: What are the graphic arts today? Their answers give form to the artistic criteria of the cultural and geographic settings in which these institutions operate and thus help to constitute a postcolonial perspective on art. This approach underscores the great diversity of art as it exists today in our globalizing world. 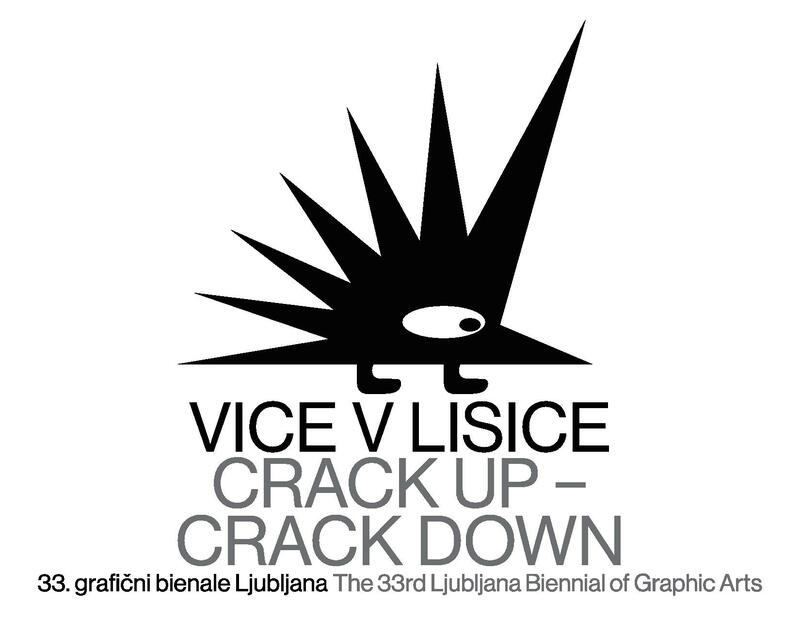 The 26th Biennial of Graphic Arts began with the symposium in December 2004 at the MGLC and ended with the exhibition in June 2005 in Tobačna Ljubljana. Grand Prix: San Juan Poly/Graphic Triennial: Latin America and the Carribean, Puerto Rico. Bharat Bhavan International Print Biennial, Bhopal, India: Raj Mohammad Pathan. Bibliotheque nationale de France, Paris, France: François Morellet, Paul-Armand Gette, Jean Le Gac, François Bouillon, Gérard Collin-Thiebaut, Jean-Michel Alberola, Yves Chaudouët, Françoise Petrovitch. Birmingham Museums and Art Gallery, Birmingham, Great Britain: Paul Coldwell, Jane Dixon, Lucian Freud, Jane Joseph, Peter Kennard & Cat Picton Phillipps, Hughie O'Donoghue, Anne Rook, Colin Self, Ian Tyson, Catherine Yass, Webproductions (Telfer Stokes, Helen Douglas). Brooklyn Museum, New York, USA: Devorah Sperber. Calcografía Nacional, Real Academia de Bellas Artes de San Fernando, Madrid, Spain: Juan Alberto García de Cubas, Mónica Gener, Centro I+D de la Estampa Digital, Calcografía Nacional, Anish Kapoor, Jesús Pastor, Elena Jiménez. Egyptian International Print Triennial, Giza, Egypt: Amira Ehsan Abdel Malek, Eman Ezzat Elshazli, Moataz Mohamed Abdallah, Mohamed Nabil Abdel Salam, Rania Wagdy AbdAlla Mahmoud, Wael A. Sabour A. Kader. Graphica Creativa International Print Triennial, Jyväskylä, Finland: Tuija Arminen, Hanna Oinonen. 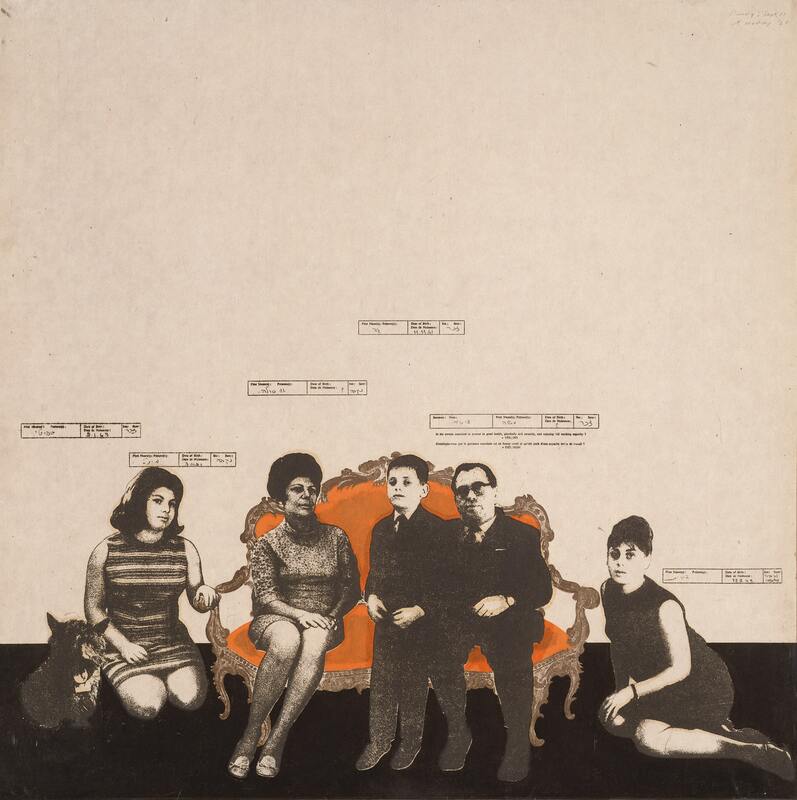 International Centre of Graphic Arts, Ljubljana, Slovenia: son:DA, Marija Starič Jenko & Almira Sadar, Annu Vertanen, Federico Pietrella, Ingrid Ledent. International Print Triennial, Krakow, Poland: Andrzej Bednarczyk, Ksawery Kaliski. Istituto Nazionale per la Grafica, Rome, Italy: Massimo Bartolini. 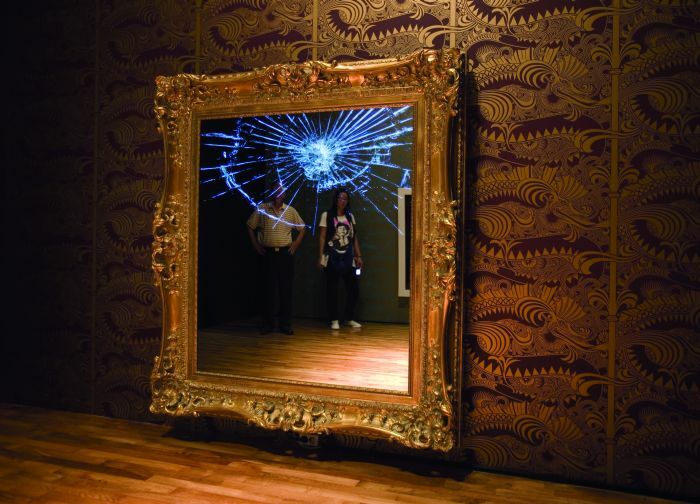 National Taiwan Museum of Fine Arts, Taiwan: Shiou-ping Liao, Hsi-chi Li, Yang-che Liu, Yu-hui Chung, Chen-ping Tung, Shyh-twan Hwang, Hsueh-chin Lin, Chin-cheng Chu, Dean-e Mei, Ming-die Yang, Sheng-min Hsieh, Hung-yu Chang, Hsin-chen Chang, Ping-ho Lo, Juo-lan Kao, Ming-feng Hsu, Chao-an Lin, Yung-chin Chen, Yu-tzu Wu, Hsing-hsuen Wu, Hsiang Cheng, Chin-jui Pan, Yu-chi Wang, Hui-Lan Chang. Neue Galerie am Landesmuseum Joanneum, Graz, Austria: Jörg Schlick. Novosibirsk Biennial of Contemporary Graphics, Novosibirsk, Russia: Rinat Minnebaev, Svyatoslav Ponomarev, Elena Bertollo, Vladimir Martynov, Ekaterina Rozhkova, Vladimir Nasedkin, Sergey Bryukhanov, Muratbek Djoumaliev, Gulnara Kasmalieva, Almagul Menlibaeva, Ayrat Teregulov. Proyecto'ace, Buenos Aires, Argentina: Rimer Cardillo. San Juan Poly/Graphic Triennial: Latin America and the Caribbean, Puerto Rico: Allora & Calzadilla (Jennifer Allora, Guillerno Calzadilla), Miguel Luciano, Adál Maldonado, Antonio Martorell, Garvin J. Sierra, Mary Patierno and Natalia Munoz. Sezon Museum of Modern Art, Karuizawa, Japan: Mitsuo Kano, Naoyoshi Hikosaka, Fumihiko Nishioka, Nana Shiomi, Keisuke Yamaguchi. Sofia Graphic Art International Triennial, Bulgaria: Buyan Filchev, Emil Mirazchiev, Mobile Graphic Art Room (Anastasia Panayotova, Alexander Alexov, Atanas Vassilev, Borislav Stoev, Valeri Vasilev, Valeri Chakalov, Vanko Urumov, Vesselin Damyanov, Galina Pavlova, Georgi Lechev, Gredi Assa, Darina Peeva, Dimo Kolibarov, Elena Panayotova, Zafir Yonchev, Ivan Dimov, Ivan Ninov, Kolyo Karamfilov, Kostadinka Miladinova, Maria Duhteva, Milko Pavlov, Mikhail Petkov, Plamen Monev, Plamen Penov, Plamen Solomonski, Ralitsa Nikolova, Roberto Andreev, Rumen Nechev, Rumen Rachev, Rumen Skorchev, Sasho Anastassov, Stefan Bojkov, Tedi Liho, Tihomir Manolov, Tsvetan Kazandzhiev, Yuli Minchev, Yavora Petrova, Hristo Kardzhilov). Tallinn Print Triennial, Tallinn, Estonia: John Smith (Marko Mäetamm and Kaido Ole) and Margareete Fuks; Andres Tali and Anu Kalm, Leonhard Lapin, Silvi Liiva, Enno Ootsing, Vive Tolli, Urmas Viik; Marko Laimre and Theodor Kuul; KIWA (Jaanus Kivaste) and Kaarel Kurismaa; Kai Kaljo and Richard Kaljo; Avangard (Sandra Jogeva, Margus Tamm) and Peeter Allik. The Museum of Modern Art, New York, USA/participates in the symposium only. American contemporary artist, winner of the Grand Prize d'Honneur of the 25th Ljubljana Biennial of Graphic Arts. Slovene Graphic Arts over the Past Fifty Years. Avant-Garde and Alternative Printers and Presses in Slovenia from Conceptualism to the Present. The 26th Biennial of Graphic Arts was accmpained by two catalogues: 26th Biennial of Graphic Arts − Thrust and Accompanying Exhibitions − Raymond Pettibon, The Most Beautiful Graphic Artworks and The First Line. Both catalogues are sold out. Adria Airways, Aerodrom Ljubljana, Hestia pro, Prevent Global, Tam – Tam. 25th International Biennial of Graphic Arts at Moderna galerija, installation view. Christophe Cherix, curator of the Graphic Arts Cabinet of the Museum of Art and History in Geneva, conceived the Biennial as a complex display including an exhibition of contemporary graphic work, a documentary exhibition about the history of the International Biennial of Graphic Arts from 1955 to date, prepared by Breda Škrjanec, and a symposium entitled "The Producers," led by Lionel Bovier, on the relationship between publishers and artists. The exhibition of contemporary graphic work wass based on the importance of the multiplied image as a means of communication. 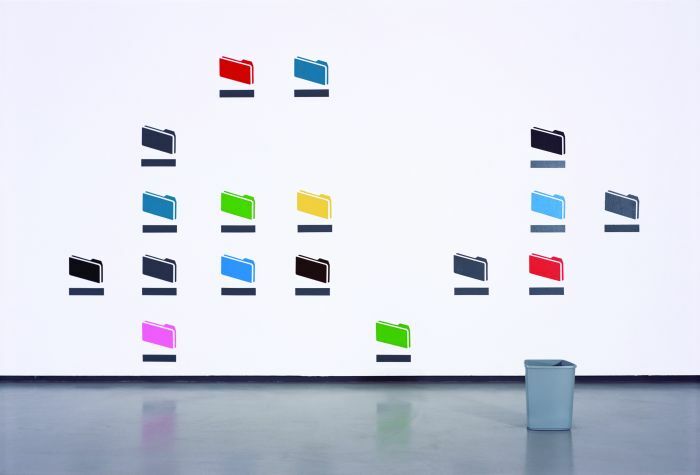 The common feature of the exhibited works − artists' books, newspapers and magazines, photocopies, posters, newspaper interventions and projects, and prints − was the fact that they document the artists' ideas about their realized or unrealized, past or future projects. John M Armleder, Art & Project, Vesna Bukovec, Vidya Gastaldon, Isa Genzken, Liam Gillick, Fabrice Gygi, Pierre Huyghe & Philippe Parreno, Irwin, Ivana Keser, Antinomian Press (Ben Kinmont), Kiosk, Ivan Kožarić, Polonca Lovšin, M/M, Lucy McKenzie, Robert Morris, Gianni Motti, museum in progress, Onestar Press, Raymond Pettibon, Permanent Food (Maurizio Cattelan & Dominique Gonzalez-Foerster), Seth Price, Tadej Pogačar & P.A.R.A.S.I.T.E. Museum of Contemporary Art, Allen Ruppersberg, Anamarija Šmajdek, Josh Smith, Erik Steinbrecher, Xavier Veilhan, Dan Walsh. International Centre of Graphic Arts, Moderna Galerija, the Gallery at Cankarjev Dom, The National Museum of Slovenia, Park Tivoli, the billboards of Proreklam-Europlakata, the newspapers Dnevnik, Delo and Der Standard. The 25th Biennial of Graphic Arts was accompained by a catalogue in Slovene and English which received the prize for the most beautiful book in Switzerland in 2005. As the award winner of the 24th International Biennial of Graphic Arts in 2001, Damien Hirst had a solo exhibition at the 25th Biennial. He exhibited a comprehensive volume of his drawings, ranging from the humorous ones made for friends to preparatory sketches for his installations and paintings. Over one hundred works, loaned from public and private collections, as well as the artist himself, were on view. This was the first presentation ever of Hirst's drawings and his first personal exhibition since he took a break in 2000. A catalogue in the form of a newspaper was published to accompany the exhibition. Biennial is supported by: Adria Airways, AFAA, Autocommerce, British Council, Cultura 2000, Delo, Dnevnik, Embajada de Espana, Gorenje, Institut français Charles Nodier, Istituto Italiano di Cultura in Slovenia, Lek, Ministarstvo za kulturu Republike Hrvatske, Mlinotest, Mondrian Stiftung, Österreichisches Kulturforum, Petrol, Ljubljana, Prohelvetia, Proreklam-Europlakat, RTV Slovenija, Samex, Schweizerische Botschaft. The 24th International Biennial of Graphic Arts was marked by certain changes, with emphasis placed on the substance of the graphic arts in the context of newly emerging global art and the new internal organizational structure. Greddy Assa, John Baldessari, Monica Bonvicini, Daniele Buetti, Marna Bunnell, Guan Ce, Peter Ciuha, Claude Closky, Maja S. Franković, Adib Fricke, Catherine Gfeller, Simon Grennan & Christopher Sperandio, Izabella Gustowska, Damien Hirst, Päivikki Kallio, Micha Klein, Jakob Kolding, Ines Krasić, Oldrich Kulhanek, Kurt & Plasto, Claudia-Maria Luenig, Tracey Moffat, Juan Moro, Blanca Munoz, Marjana Pahor, Elena Panayotova, Chen Qi, Juan Carlos Romero, Thomas Ruff, Morten Schelde, Jonathan Seliger, Liina Siib, Zora Stančič, Fatimah Tuggar, Katja Valanne & Jarno Jokinen, Adriana Varella, Sašo Vrabič, Kara Walker, Christopher Wool. The exhibition represented the art-historical ambitions of the Biennial. It was installed on the premises of the International Centre of Graphic Arts and it presented the following artists: Zoran Mušič (the selection was made by Zoran Kržišnik and Boštjan Soklič in co-operation with the Regional Museum in Nova Gorica), Andy Warhol (the selection was made by the curator Mark Francis), and Mimmo Paladino (the selection was made by Enzo Di Martino). The exhibition Fundamina at MGLC, installation view. Photo: Igor Lapajne. The work of Richard Hamilton, the Grand Prix winner of the 23rd International Biennial of Graphic Arts, was presented in Cankarjev Dom Gallery. The exhibition was organized in co-operation with the British Council and curated by Stephen Coppel. Individual projects were presented in Delo newspaper, on TV Slovenija, Radio Študent, and on 100 Proreklam-Europlakat billboards around Slovenia. In co-operation with the museum in progress, the works also appeared on 50 large digital info-screens at underground railway stations in Vienna and in Der Standard newspaper. 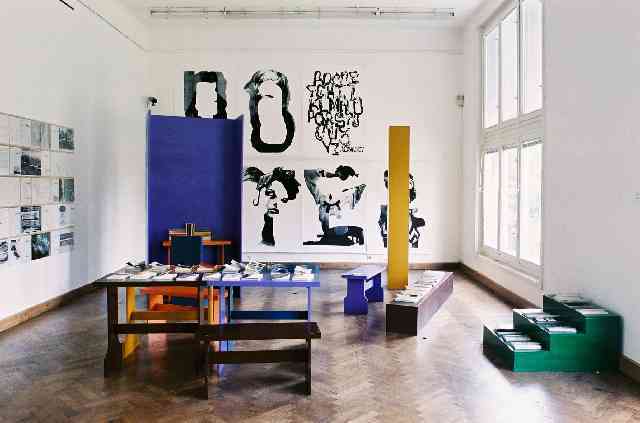 Curated by Gregor Podnar and Hans-Ulrich Obrist. Minerva Cuevas, Harun Farocki, Leif Elggren & Thomas Feuerstein, Natascha Sadr Haghighian & Rashad Becker, Apolonija Šušteršič & Jože Barši. The 24th International Biennial of Graphic Arts was accompanied by a catalogue, which has completely sold out.